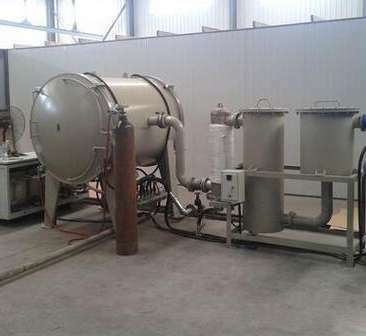 The experimental vacuum melting furnace is a complete set of vacuum smelting equipment, which uses the principle of medium frequency induction heating under the vacuum condition. It is suitable for scientific research and production departments to smelt and cast 63+63 for nickel base and its special steel, precision alloy, superalloy, rare earth metal, active metal, copper and copper alloy, hydrogen storage material, NdFeB and magnetic material in vacuum or protective atmosphere. Ultra high temperature furnace used in 3000 DEG C, for a variety of high conductivity graphite film (PI film), lithium battery anode material, carbide, carbide and graphite production of carbon materials carbon materials graphite; carbon fiber filament shaped graphite and other carbon materials in the sintering environment. 1. the highest use temperature: 3000 centigrade, the commonly used temperature 2900. 3. temperature measurement: far infrared optical temperature measurement range 1000~3000 C or 0~3000 C; temperature measurement accuracy: 0.2~0.75%. 5. exclusive design of furnace explosion-proof valve, safe and reliable.